Although we had an in-depth review of tegimented Sinn watches here last month, written by Ming Thein, we also covered the most technology-packed Sinn 103 for Watchuseek. This 103 in titanium features all the Sinn technologies that solve real problems. No tourbillon, minute repeater, dead beat second or other haute horlogerie complications over at the watch company from Frankfurt, only inventions that solve ‘real’ issues. This of problems watch can have with moisture, shocks and friction of small parts. 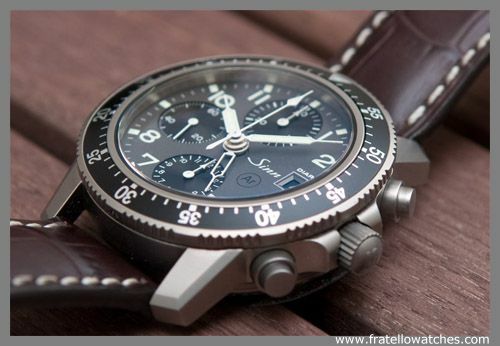 This 103 Ti DIAPAL, being the most expensive Sinn 103 model available, is still very interesting for those who are looking for a reliable chronograph watch (featuring a second time zone as well). Using innovations such as the Ar-Dehumidifying Technology, DIAPAL to prevent the use of lubrication for the escapement and being able to withstand temperatures as low as -45 degrees Celsius and as high as +80 degrees Celsius, Sinn is able to give you a 5 year warranty on this watch. 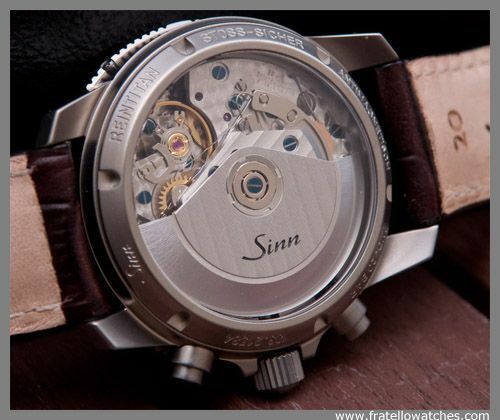 Price of this Sinn 130 Ti DIAPAL is 2640,- EU. Follow this link to read the full review at Watchuseek.